Good morning and welcome to Friday Feelings. Today, we’re talking about an up and coming authors website. 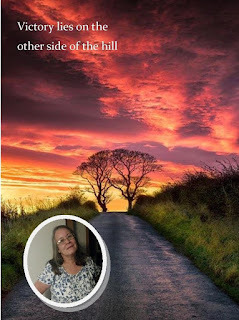 You can join, list your books, and connect with a lot of fabulous authors in their many groups or just be part of the fun with status updates. Have you discovered AUTHORSdb yet? Follow and friend your fellow authors. Like their posts, engage with them on a daily basis. Apply for and get that coveted blue check mark – your verification that you are an author to be seen and followed! You can post status updates, join groups, link your blog to this site and let others see what you’re talking about in regards to your writing. Set up events, brag about your achievements and the badges you’ve received. You can even promote your books here without being told not to do too “buy my book” links. Enter the annual cover art contest. Remember voting for a friend last year. If you voted for my entry, thank you so much. I received the silver badge for The Case of the Vanishing Girls Wildcat Crew Book 1. The winner’s badge looks fabulous on the cover, don’t you think. Best of all, you are in a community of authors who know how you feel when the muse goes silent. They’ll cheer on your latest release. You’ll make new friends who understand why you’re up in the wee hours, struggling with a difficult plot point. Check out AUTHORSdb now and see what’s waiting for you! A multi-genre author, K.C. Sprayberry is always on the hunt for new stories. Inspiration strikes at the weirdest times and drives her to grab notebook and pen to jot down her ideas. Those close to her swear nothing or no one is safe if she’s smiling gently in a corner and watching those in the same room interact. Her observations have often her ideas for her next story, set not only in the South but wherever the characters demand they settle.